The EdUC encourages participation at events such as this question-and-answer session. As the world's largest GIS education event, the Esri Education GIS Conference provides many unique learning and networking opportunities to help you and your institution get the most from your investment in GIS. 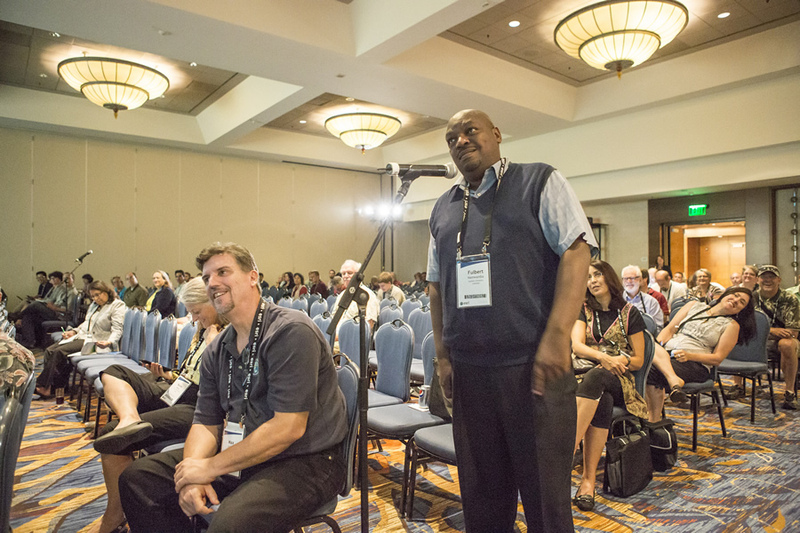 This year's conference at the Marriott Marquis & Marina will be more participatory than ever, with sessions that will feature students talking about how they use GIS. Esri also will host its first "unconference" for the GIS education community, where you can share your insights into established and emerging best practices and the challenges you face in GIS education today. And if you register, you will get an Esri UC Sampler, which includes free admission to the first two days of the Esri International User Conference. 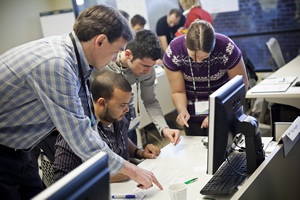 You can immerse yourself in the latest Esri technology at the technical workshops. The EdUC will begin with the Celebrating Student Success Plenary Session on July 6. You will listen to presentations by outstanding GIS students including Steve Chignel from Colorado State University; Julien Clifford from Texas A&M, Corpus Christi; Mohan Rao from Austin (Texas) Community College; René Smit from the University of Pretoria in South Africa; and Nekya Young from Texas Southern University. The agenda on July 7 will be open for everyone to self-organize in unconference sessions. Got a burning question and want to brainstorm solutions? Want to explore multiple facets of an issue through a panel discussion? 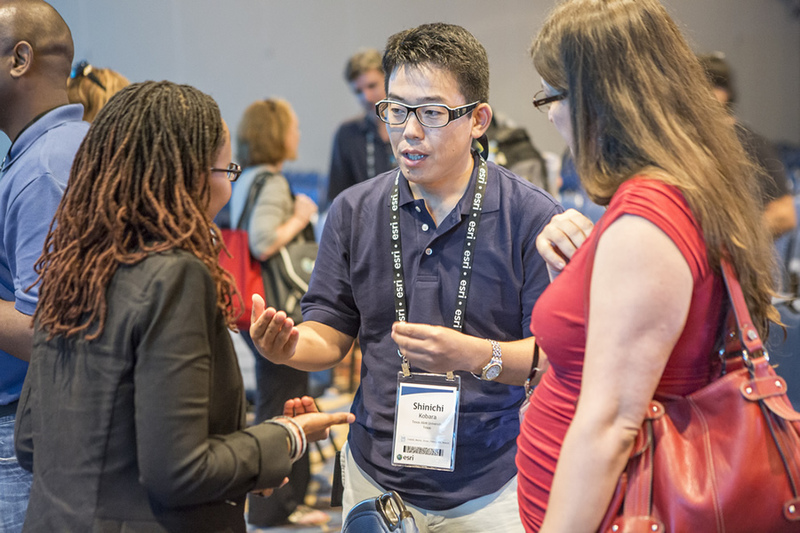 You can help to create the event and advance GIS education community knowledge by taking an active role. The unconference will end with Lightning Talks that summarize the discussions and recommendations made during the sessions. 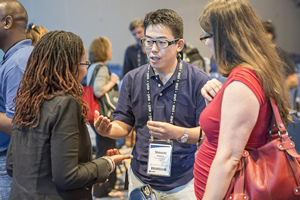 Other conference highlights include user presentations, special interest group meetings, hands-on workshops for both beginners and experts, and demonstrations and presentations at the Education GIS Solutions EXPO. A small group cooperates during hands-on training. 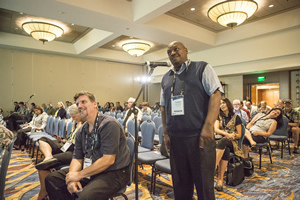 On July 8, the program will move next door to the San Diego Convention Center for the Esri UC Plenary Session presentations and the Academic GIS Program Fair. At the fair, you will have the opportunity to meet with representatives from colleges and universities to discuss their academic GIS programs and educational offerings. Educational papers will be presented on July 9 at the Convention Center. 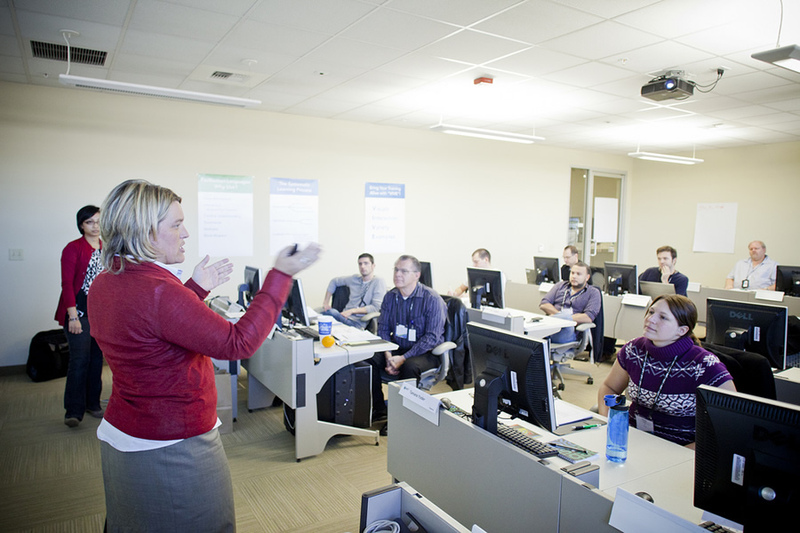 Attend user presentations, where you will earn what educators see as the hot topics in GIS education, including teacher professional development, citizen science projects, and the need to foster collaboration across campus. Hear students' success stories from students and recent graduates that encapsulate how learning GIS made a difference in their lives. The EdUC offers many opportunities to network and exchange ideas. Go to free technical workshops. Esri will offer instructor-led, hands-on training on topics such as map design, field data collection, 3D city model creation, and regression analysis. Stop by the GIS Solutions EXPO. The EXPO provides access for the education community to GIS-related education products and services from businesses, government agencies, universities, and other organizations. "From the beginning, the goal of Esri's education program has been to cultivate the next generation of GIS users and spatial thinkers," says David DiBiase, director of education at Esri. "Please join us at this year's conference and help us realize this goal."